Have a question about the IST M27 Tortuga Classic Dive Mask? 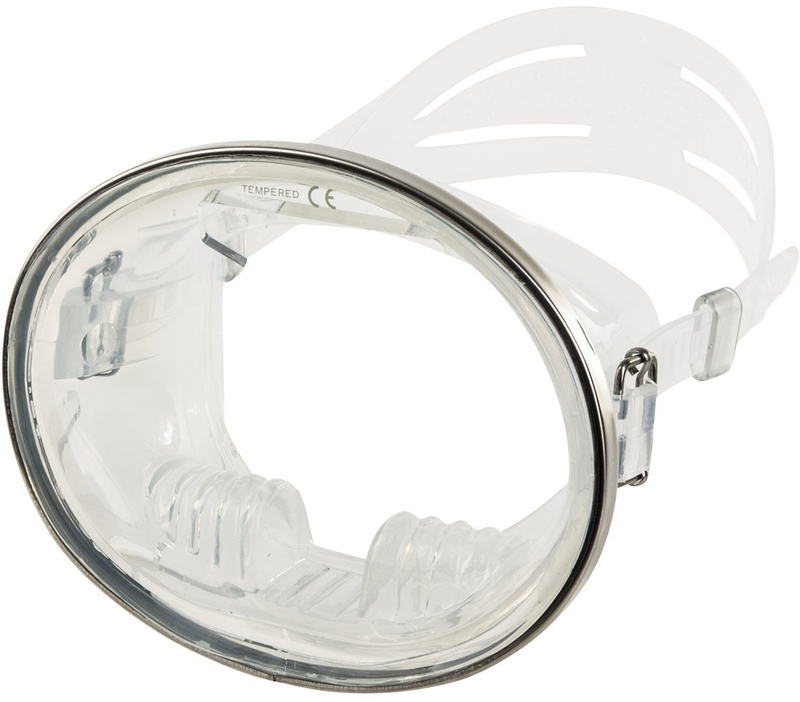 Traditional single lens mask made with contemporary manufacturing method. Equipped with tempered glass and liquid injected silicon skirt, this mask is a favourite amongst the diving traditionalists. 50 years ago, all masks looked like this classic Tortuga Mask from IST. While the design may look like time has passed it by, IST has implemented decades of engineering advances into this Classic retro mask. Like its tempered glass and Liquid-Injected silicone. Or the rugged new age metal band on the mask frame which will probably take another 50 years of abuse. There is a graceful elegance to the Classic Tortuga. The beauty also lies in a mask with such a great basic design, it will literally fit a majority of faces. That universal-fit quality alone makes Tortuga a great back-up mask for the occasional guest or diver that forgot his or her mask. (Or diver with a mustache!) And Tortuga is super-easy to clear your ears; simply place your index finger in the hose well, press against your nostril while blowing lightly through your nose. on 11/6/2011 Hi, IST Tortuga Classic Style One Window Oval Mask. How do you equalize when descending to depth wearing this mask? I can see in the middle where the nose seems to place when wearing the mask. Is that correct? regards Kane Do you ship goods to Sydney Australia? Is there warranty on goods purchased with you? ifso what is the procedure of warranty issues? Is there spare parts available? Like lens and mask straps? Is there an agent in Sydney Australia? Regards Kane. on 11/7/2011 Hello, you should be able to clear with one hand as the nose pocket is built into the silicone skirt. As far as shipping goes we can sip to you and it is under warranty but the warranty means you would have to send back to the states for repair and that could get costly. You can certainly buy an extra strap if needed but we do not sell extra lenses. on 8/16/2012 Does this mask come in color black? on 8/17/2012 Hello, Thanks for the inquiry. This mask by IST only comes in clear. There is another one made by Oceanways Classic Pacific Mask Black Rubber SKU: 4066.